Foxconn and Sharp are looking closer than ever to building a manufacturing plant within the United States, according to one Sharp executive who said that the plan is still "on the table" (via Nikkei). The plant would mainly be focused on the manufacturing of LCD panels for TV sets and home appliances, but Foxconn is said to be considering moving iPhone production stateside as well. The news continues a rumor from last year born out of President-elect Donald Trump's comments on wanting Apple to make its products stateside. Foxconn laid out plans for such a move in December, along with Japan-based SoftBank Group, with each company hoping to create a combined 100,000 jobs in the U.S. over the next four years. Nothing is yet official, however, and the same Sharp executive noted that "we will make a decision carefully." Hon Hai Precision Industry and its Japanese subsidiary Sharp have begun studying the possibility of building a liquid crystal display panel plant in the U.S., a Sharp executive said Friday. With Trump urging American manufacturers to bring operations back to the U.S., Hon Hai is considering production in the U.S. due to its huge market for TVs and other home appliances. Although details about the cost of the plant and its location remain unspecified, people familiar with the plan said Foxconn would spend about the same amount on constructing the U.S. location as it did on a similar facility in Guangzhou -- around 1 trillion yen, or $8.69 billion. As an incentive, Donald Trump in November told Apple CEO Tim Cook that he would offer the company a "very large tax cut" to make its products in the U.S. Cook was said to have remained largely neutral on the subject during his call with Trump, later pointing out that one of the major reasons Apple's manufacturing is so heavily centered in China is due to the country's large number of individuals with the required "vocational kind of skills." Foxconn and Apple both have manufacturing facilities on a very small scale in the U.S., but the newly discussed facility by Foxconn and Sharp would be notably larger. Currently, Foxconn has plants in Virginia and Indiana, along with logistic locations in California and Texas. Apple has a comparably limited facility in Austin, Texas which manufactures the company's Mac Pro. ...due to the country's large number of individuals with the required "vocational kind of skills." Yeah, we have no workers here who can stand on assembly lines I guess... just like Nike, they can find no workers here who can make sneakers... they are so damn hard to make I guess. The only thing I can get on board with Trump is this whole MADE IN USA thing. These companies should realize that maximizing profit at the expense of the country's workers is NOT patriotic. Apple would still make billions and billions making products here, just not as much as making them in China. Tim cares about his company more than his country, that is the problem. It's funny how the media is getting on board with the whole "mindrays from Moscow" narrative about why Trump won. After all, there can't possibly be any reason why people would not vote for Hillary "offshore your jobs" Clinton, right? There is one major country who would want to interfere with a "make it in the USA" candidate, and it's not Russia. bstpierre - as CEO, he was beholden to his company and shareholders. As president, he is supposed to work for us. It's like criminal defense attorneys starting off working for district attorneys. One is supposed to do the job they are given to the best of their abilities. CEO's have no such duty to compromise personal or professional ethics to benefit shareholders. Many companies keep their manufacturing in the US when it would be cheaper to take it outside, in part because of an ethical position to keep jobs in the US. A defense attorney may represent a different type of client than a district attorney, but there is no inherent ethical compromise in doing so, unless the lawyer is ethically challenged to begin with. In both jobs, the lawyers attempt to represent the truth to the best of their abilities, and indeed are required by law to do so. A CEO makes an ethical decision about where to manufacture goods -- pay more and make them in the US, pay less and ship the jobs offshore, or don't make that particular product at all. Hiding behind the shareholders as defense of ones actions is a cheat. That's like a prosecuting attorney taking a job defending the very client they were previously prosecuting, knowing the client was guilty despite beating the charges on a technicality, and claiming they have to defend the new client because it's their job. It starts with an ethical choice about whether to take the job in the first place. The largest negative impact on manufacturing jobs, Technology. 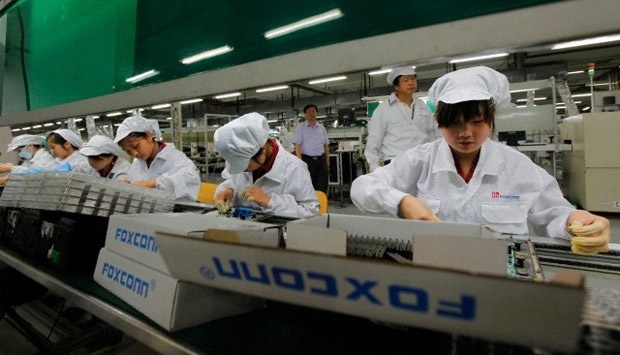 Foxconn wants to totally automate iPhone production as an example. The new factory worker will need highly technical skills. To your point, not necessarily college educated but highly educated as compared to today's workers. Additional jobs designing, building and supporting the automation will require even more advanced skills. The factory workers of the future will be very knowledable and skilled. We need to fill this educational void with the approiate job educational offerings. Something countries like China have already implemented. The definition of trades and vocational jobs will continue to require more advanced education but, not necessarily a college education. I absolutely agree. The American education system needs to realize that a quality vocational education is as important as all the liberal arts and STEM degrees. I believe automation and robotics training will be big. Another example is maintenance and repair of wind farm equipment. One junior college in our area has a program for that field and the grads are getting handsome offers for associate degrees. Way better offers than public school teachers with 4 year bachelors degrees. By 'vocational skills' I think they mean people who can make tools and prototypes, etc. Obviously there is no inherent advantage on the assembly line between Chinese labour and USA labour - other than price. This whole story seems like fluff to me though. In order to make it worthwhile manufacturing LCDs in the USA you also have to be manufacturing devices to use those LCDs. Otherwise you'll be making them in the USA, shipping them to SE Asia to be assembled into devices, then shipping them back to the USA for people to use. This might work if your customer base were automotive, ie the cars are largely maufactured in the USA, but I doubt that market segment alone would warrant the investment of an entire LCD plant. Additionally, I'm not certain, but I believe there is a high degree of automation in the creation of LCD screens - it's unlikely that an LCD plant would actually result in many jobs. With that logic then its ok, to ship all of our jobs overseas, and move the not employed number from 45% of the U.S. population to 75%. That will be better, no doubt. Of course, that does not consider that the poverty level government income will continue to go down, down, down, as more people decide not to work. Because if you really believe what you wrote, then that will be the outcome. "posing real issues for continued long term job growth, and necessitating job retraining anyway." which we have already thanks to our current government. Isn't it clear enough that what the people have wanted for the past 20 or 30 years is cheap consumer goods (clothes, electronics, etc), the price that is ultimately paid for that is shipping the manufacturing base overseas (as true in North America as it is in Western Europe). When the prices start going up in those emerging manufacturing centres we just get more expensive goods, but no jobs - because it is almost impossible to bring those jobs back again.